When studying at the University of Bristol, I had the distinct pleasure of working with Mick Aston both in the classroom and on Time Team. Mick was a fantastic individual; brimming with knowledge, incredibly outgoing, and a genuinely nice person. Lee Brady recently started a change.org petition encouraging the UK’s Channel 4 to produce a one-off televised dig in memory of Mick. Time Team, which ran for an astounding 20 season, was axed by Channel 4 in 2013. This presentation would be an outstanding way to pay tribute to Mick, a man whose legacy as both a professor and a professional should not be forgotten. Please take the time to follow the link below and support this fantastic petition. Afterwards, be sure to share your support on social media. 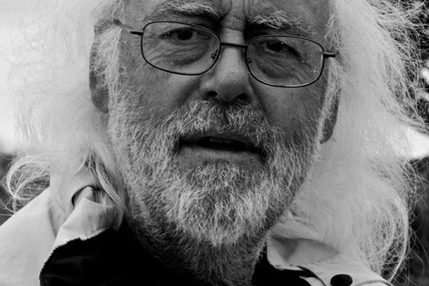 Visit the Facebook page (https://www.facebook.com/RipMickAston) and tag your posts with #Dig4Mick. Roughly a year ago, I reviewed Skendleby, a mindblowing archaeo-horror/mystery by archaeologist and author Nick Brown. I’m thrilled to say that the second book in his Ancient Gramarye series, The Dead Travel Fast, is now available for public consumption. Now I really despise spoilers and I’d hate to give away too many details of this novel’s well weaved plot. I’ll do my best to tease the central story and fill you in on what kept me turning pages late into the night. The story picks up some time after the events of Skendleby. Archaeologist Steve Watkins has relocated to the island of Samos, off the coast of Greece, in a last ditch effort to put the horrors of the previous year behind him. Unbeknownst he’s traded one mystical calamity for another. As he soon learns, Samos is being plagued by a series of brutal ritualistic murders, which as you can imagine Steve is bound to become embroiled in. Steve is joined by a cast of interesting new characters, as well as some old familiars. Theodrakis, a detective working to solve the murders, is a new entry and shares the stage with Steve in this novel. He’s a tortured man facing an uphill battle with a supernatural foe and dastardly co-workers. Brown’s characters are gritty and real, constantly drawing the short straw but never giving up. Equally important is the island of Samos, which Brown proves he has an intimate familiarity with. Samos history and environment are every bit as important to the plot as is the cast of characters who inhabit the island. It is no secret that Brown knits his personal experiences into each story. His knowledge of Ancient Greek culture was on full display in Luck Bringer. This novel, too, uses the mythos and history of Ancient Greek as a foundation while capturing the modern day socio-economic turmoil currently eating away at Greece. Brown weaves his fictional narrative around these pillars to create a story that gets progressively worse for the beleaguered protagonists. All the better read for us! 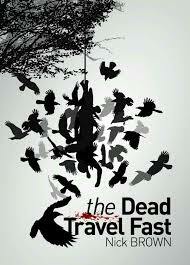 If Skendelby set the bar for this series, The Dead Travel Fast, raises the bar by dropping the floor out from under you. The wrecked Franklin expedition ship found last month in the Arctic has been identified as HMS Erebus. Prime Minister Stephen Harper confirmed the news Wednesday in the House of Commons. “I am delighted to confirm that we have identified which ship from the Franklin expedition has been found. It is in fact the HMS Erebus,” Harper said in response to a question from Conservative Yukon MP Ryan Leef. Two ships, HMS Erebus and HMS Terror, were part of Sir John Franklin’s doomed expedition in 1845 to find the Northwest Passage from the Atlantic Ocean to Asia. The ships disappeared after they became locked in ice in 1846 and were missing for more than a century and a half until last month’s discovery by a group of public-private searchers led by Parks Canada. It was not known until now which of the two ships had been found. Franklin commanded the expedition from the Erebus and is believed to have been on the ship when he died. The wreck of HMS Terror has not yet been found. Parks Canada underwater archeologists have been conducting dives at the site of the wreck since the discovery was made. In a release, the Prime Minister’s Office said the confirmation of the ship’s identity was made Sept. 30 by those Parks Canada scientists, following a “meticulous review of data and artifacts” from the seabed and using high-resolution photo and video along with sonar measurements. Ryan Harris, a senior underwater archeologist with Parks Canada and the lead on the project, was the first to venture down to the wreck along with his colleague Jonathan Moore. “Without a doubt it is the most extraordinary shipwreck I’ve ever had the privilege of diving on,” Harris told CBC News on Parliament Hill Wednesday. Harris said he was able to drop down between the exposed beams of the wreck and “peer around” some of the interior, including the crew’s mess. The pair could see below decks through old skylights and other openings but did not penetrate the interior of the ship. “Most of our investigations have been external to this point in time,” he said. Parks Canada two-man teams conducted seven dives in all for about 12 hours of investigation so far, Harris said. 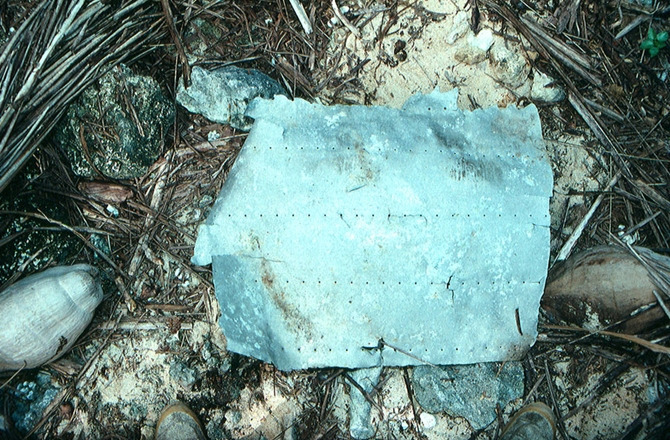 One question on many observers’ minds is whether Franklin’s body might be found on the wreck. It is not known whether Franklin perished on board or was given some kind of burial at sea before his men abandoned ship. “We do know that he passed away in June of 1847, but the terse note left by the crew after they deserted the ships in Victoria Strait didn’t say what happened and why he died, but I suppose anything is possible,” Harris said. The last members of the Franklin expedition are believed to have faced starvation, disease and possibly cannibalism before their deaths in the Arctic. The government’s partners in the search for Franklin’s ships this summer included Parks Canada, Fisheries and Oceans Canada, the Canadian Coast Guard, the Royal Canadian Navy, Defence Research and Development Canada, Environment Canada and the Canadian Space Agency, as well as the governments of Nunavut and Great Britain. If you know me or follow this site, you know my obsession with the Franklin Expedition. The disappearance of the two ships HMS Erebus and HMS Terror nearly 170 years ago has been one of history’s lingering mysteries. Two days ago, scientists scouring the Arctic announced they had finally discovered the submerged remains of one of the ships. What happened to his expedition has been a mystery for more than 170 years. The expedition’s disappearance became one of the great mysteries of the age of Victorian exploration. A team of Canadian divers and archaeologists began searching for Franklin’s ships back in 2008. Now they’ve finally had a breakthrough. Sonar images from the waters of the Victoria Strait, near Nunavut, reveal the wreckage of a ship resting on the ocean floor. Turns out, it is one of Franklin’s missing ships. “I am delighted to announce that this year’s Victoria Strait expedition has solved one of Canada’s greatest mysteries, with the discovery of one of the two ships belonging to the Franklin Expedition,” said Canadian Prime Minister Stephen Harper in a statement. John Geiger, the president of the Royal Canadian Geographical Society, was a member of the search team that finally found the boat. “You can actually see things like deck planking, you can see the side of the hull and even debris like signal cannons on the deck,” said Geiger. The loss of HMS Erebus and HMS Terror prompted one of the largest searches in history, running from 1848 to 1859. Experts believe the ships were lost when they became locked in the ice and that the crews abandoned them in an effort to reach safety. “It’s a very important wreck. It’s arguably one of the most exciting underwater finds — just because so little was known about what happened to the Franklin Expedition. 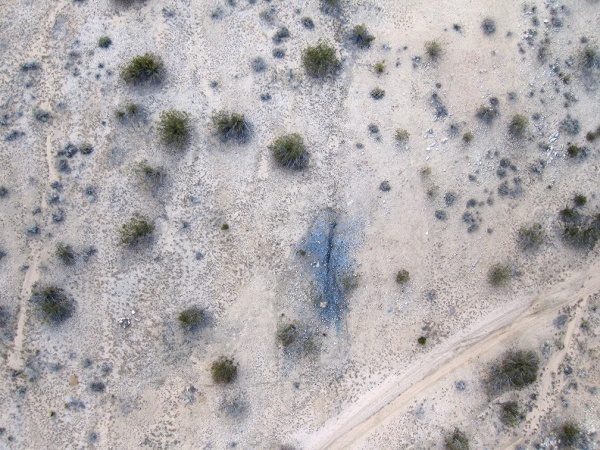 It’s just one of those great, enduring historical mysteries,” Geiger said. There are a lot of fantastic books surrounding the disappearance of the HMS Erebus and Terror. Two I highly recommend are Frozen in Time: The Fate of the Franklin Expedition and the fictitious, but frightening, The Terror by Dan Simmons. The mystery surrounding the disappearance of the 1845 British Arctic Expedition commanded by Sir John Franklin is the most enduring in polar exploration history. This summer, the Government of Canada’s search for the lost Franklin ships, the HMS Erebus and HMS Terror, will be enhanced by the inclusion of Canadian leaders in exploration, assembled with the help of The Royal Canadian Geographical Society (RCGS). This unique partnership, which includes The W. Garfield Weston Foundation, One Ocean Expeditions, Shell Canada and the Arctic Research Foundation, will add resources, technologies and expertise to the hunt and focus on the Victoria Strait, which up to this point has largely not been targeted by search teams. The focus on the Victoria Strait is significant, as the area includes the last reported location of the missing vessels and crews. The W. Garfield Weston Foundation has been a catalyst for the innovative partnership. With the support of The W. Garfield Weston Foundation, the Society has partnered with One Ocean Expeditions to provide an Arctic-rated vessel (One Ocean Voyager) that will enhance the many projects underway by all partners. It will enable experts, researchers, and others to be in the search area for a 10-day period during the field season. It will also enable the RCGS to analyze and communicate the important links between the original Franklin expedition, the modern search efforts led by Parks Canada, and a host of issues currently facing the Canadian Arctic. The search for Franklin’s lost ships has opened a unique window into the history and heritage that has defined the Canadian experience, and the research provides a strong learning opportunity for Canadians across the country. With the vital support of its partners, The W. Garfield Weston Foundation, One Ocean Expeditions, Shell Canada and the Arctic Research Foundation, the RCGS will be developing and disseminating an educational program to Canadian schools, so that educators and students can develop a stronger knowledge base and engagement with the Arctic, linking this great historical mystery to important contemporary themes such as Northern science and Arctic sovereignty. In its 2013 Speech from the Throne, the Government of Canada announced an expanded partnership would join the Parks Canada-led initiative to locate the Franklin vessels. Leona Aglukkaq, Minister of the Environment and Minister responsible for Parks Canada, announced the 2014 Victoria Strait Expedition on June 20. The Royal Canadian Geographical Society and its partners are key to the plans for this summer. “As Canada’s pre-eminent leader in exploration and geographical education, we are proud and honoured to join with Parks Canada, other federal and Nunavut government partners, and our private sector and non-profit colleagues and take up the call,” stated The Royal Canadian Geographical Society’s CEO, John Geiger. The fate of the Erebus and Terror and their crews has become one of the most enduring mysteries in maritime history, and the search for Franklin’s lost ships has over time cemented Canada’s understanding and connection with the North. Moreover, much of Canada’s claim to sovereignty over its Arctic islands can be traced to the significant geographical advances made because of the Franklin search era. This year’s search will continue to strengthen Canadian awareness and understanding of its northern heritage and sovereignty over the land and its resources. For up-to-date information about the Franklin search expedition and much more, visit the Franklin 2014 search website at canadiangeographic.ca/franklin-expedition.